We have discussed a lot about real world applications of 3D modelling and rendering tools like Blender before, but not really about the choice of tools itself. 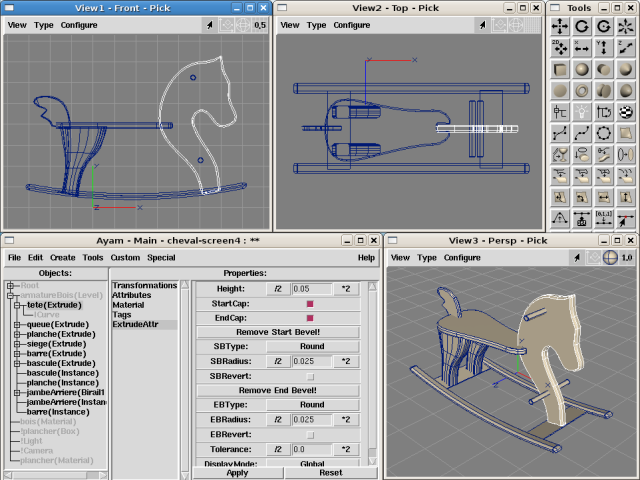 What are the best, free and open source, 3D modelling and rendering apps available for Linux? Let's find out. Art of Illusion is a free, open source 3D modelling and rendering application for Windows, Mac and Linux. Online repositories and a built-in downloading tool for installing extensions are some of the unique features of Art of Illusion which are not seen even in non-free, proprietary 3D modelling and rendering applications. Blender is the most popular, free and open source, 3D modelling and rendering application for Linux. Blender foundation has produced a number of small animation movies created entirely using Blender to showcase its true potential (Agent 327: Operation Barbershop, Sintel, Big Buck Bunny to name a few). The first large professional project that used Blender was Spider-Man 2 movie, where it was primarily used to create animatics and pre-visualizations for the storyboard department. 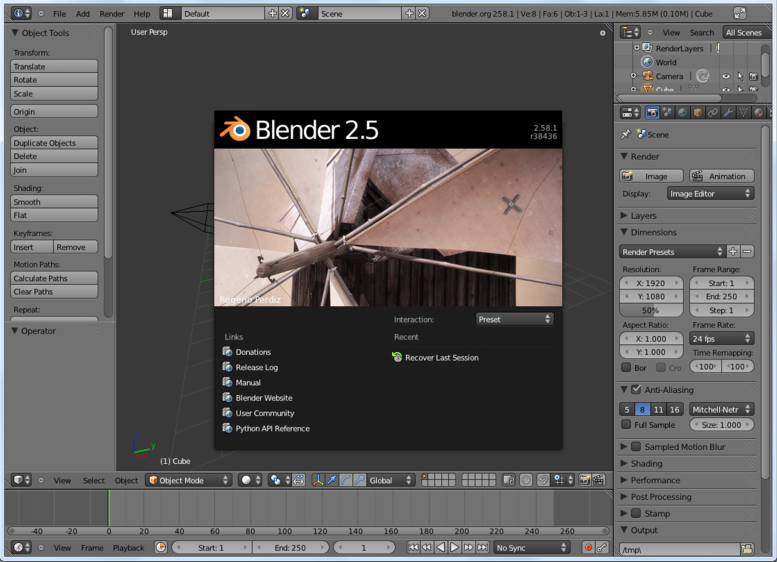 Blender is available for free download from the default repositories of all major Linux distributions. Ayam is a free 3D modelling environment for the RenderMan interface, distributed under the BSD licence which allows anyone to use, copy, modify, distribute, and license this software and its documentation for any purpose. 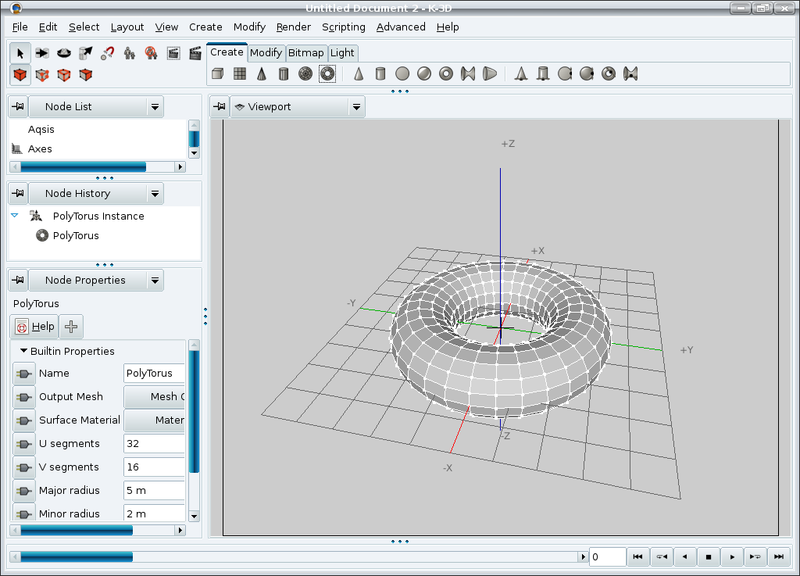 The current stable version of Ayam is 1.19 and it was released on 16th of March 2011. Downloads for Windows, Mac and Linux available. 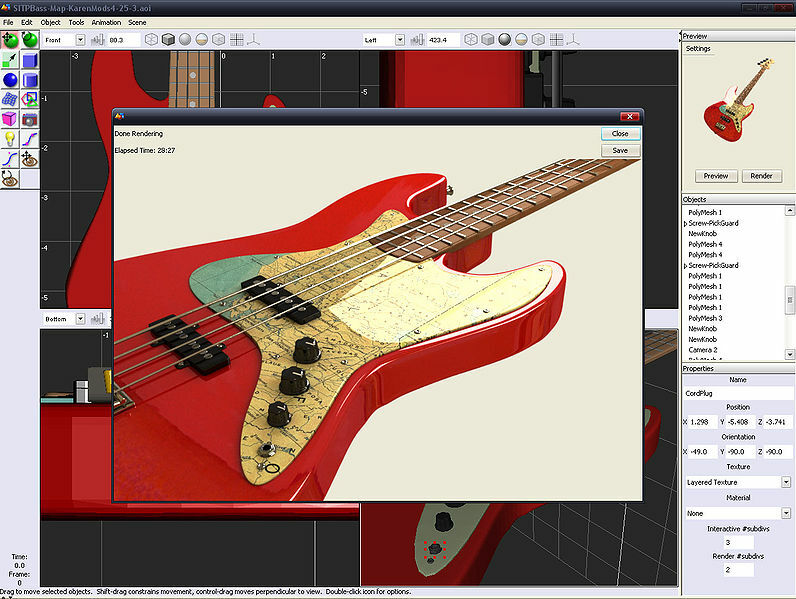 K-3D is yet another free and open source 3D modelling and animation software for Linux. It features a plug-in-oriented procedural engine for all of its content. K-3D supports polygonal modelling, and includes basic tools for NURBS (a mathematical model commonly used in computer graphics for generating and representing curves and surfaces), patches, curves and animation. Like Blender, K-3D is available in default repositories of all major Linux distros. Do a simple sudo apt install k3d in Terminal if you are on Ubuntu. 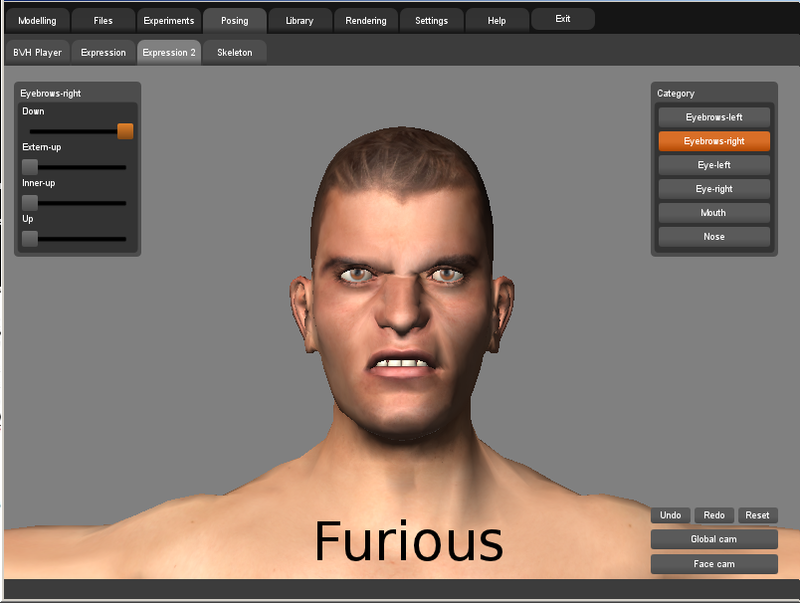 MakeHuman is an open source application for creating 3D characters. Features that make this software unique include a new, highly intuitive GUI and a high quality mesh. According to its creators, a photorealistic humanoid can be modeled in less than 2 minutes using MakeHuman. Free downloads for Windows, Mac and Linux (Ubuntu specific packages available).